SAJA will be hosting a special panel discussion at the CNN NY office about the role of South Asian women as on-air reporters & anchors in today's news media. 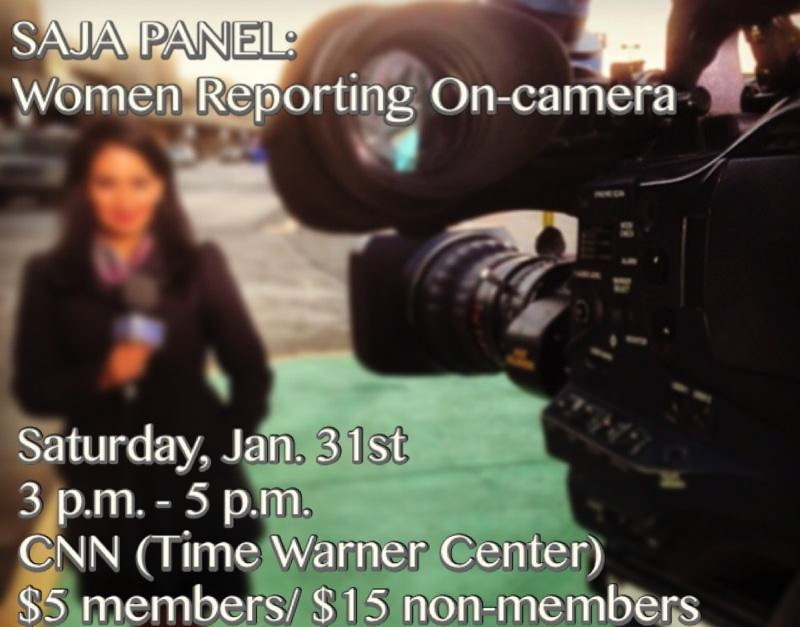 Here's a great chance for SAJA members to speak with 2 South Asian women who will share their experiences & stories as a minority journalist working on-camera in the TV news field. The event will be a panel discussion followed by Q&A from the attendees. The panelists are both SAJA members and have experience in the local and national news markets! 1.) Hena Daniels - Anchor/Reporter at Connecticut's WFSB station in Hartford. 2.) Sonia Moghe - CNN NY Bureau Producer, former reporter at WCBS & WPIX in NYC. The moderator of the panel discussion will be CNN HLN Producer/Writer & SAJA board member Sovy Azhath. All attendees must RSVP by Tuesday Jan 27th!